What Is A Filter Needle And Should You Use One? A brief look at what filter needles are and whether you should use one or not. Filter needles are needles with small, glass filtering devices at the base of the needle. Filter needles are typically used to filter tiny glass particles, micro organisms or powder particles from your medication. For example, when opening a glass ampoule, tiny glass particles may get into the solution and risk being drawn up into the syringe. A filter needle prevents this and makes your injections a lot safer. Filter needles have been shown to eliminate or significantly reduce the risk of glass particle and other types of contamination. A quick overview of a typical filter needle. If you are highly concerned about glass particle contamination, then filter needles are the most reliable precaution you can take. Filter needles are available at exactly the same places you would obtain your regular needles and syringes. That includes medical supply companies online, your doctor or your pharmacy. 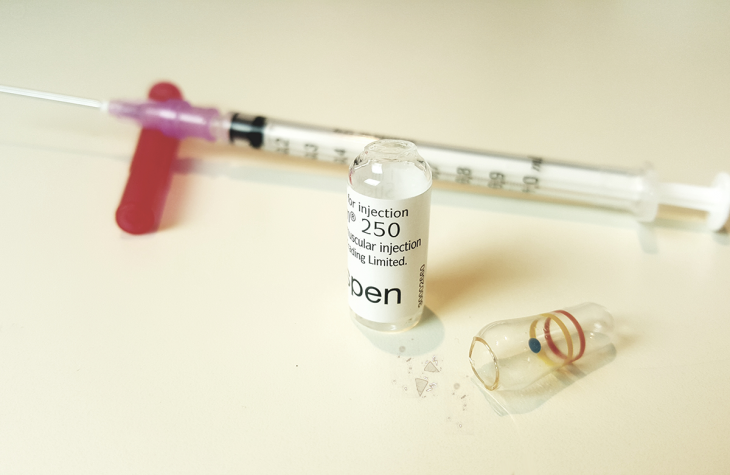 Naturally, the more frequently you do injections, the greater the risk of glass particle contamination. So if you inject frequently, doctors suggest using a filter needle. I help men take control of their testosterone, health and lives. Testosterone Replacement Therapy turned my life around and my goal is to help as many men with low testosterone do the same! Thanks to TRT, I traded anxiety, depression and weakness for courage, motivation, strength, love and masculinity. I'd love to help you do the same.